Accounting is one of the most important aspects of any business. All businesses must know where they stand financially in order to survive and thrive. Cash flow, expenses, income and budgeting are required functions for all companies, regardless of industry or size. Without these accounting tools, a business may never know where it stands. New business owners often take full responsibility for all aspects of their business operations. Funds are often limited, so owners believe that hiring professional services is a luxury they cannot afford. To help you get off to the right start and put your business on a firm financial footing, make room in your budget for accounting advice. Every dollar counts for business owners, so if you are unsure where you stand on a monthly basis, you may not survive the year. The bottom line is that most business owners have way too much on their hands to run all facets of their business effectively and efficiently. At Lom, Enerson, & Gunderson Tax Services, we take your business seriously and are here for your accounting needs, whether your business is just beginning or you have been in business for many years. We can customize a package of accounting services priced to keep your business competitive, while taking the administrative pain out of running your day-to-day operations. We strongly believe that good accounting is the back bone of a company’s strong financial position. In fact, there was a recent study that found that small businesses which had monthly financial statements prepared, along with ongoing consultation, saved an average of 18% in overall income taxes. Running your business goes smoother and profits stay higher with the right accounting and business management software. We can help you choose the right tools for your business and guide you through the implementation. QuickBooks is a leading small business accounting software in the nation. 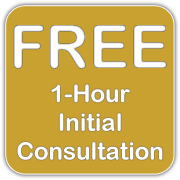 It is very flexible, easy to use, and allows customization for your business needs. QuickBooks allows a company to control all aspects of its invoicing, billing, payroll, inventory, and financial reporting. This kind of accurate information is what makes the difference between being successful and just getting by. At Lom, Enerson, & Gunderson Tax Services, we encourage business owners to use QuickBooks as their accounting software. In our experience, we have found it to be the most user friendly and complete accounting software available. We will also setup your QuickBooks software for the type of business you are starting, and then train you in how to use it properly and efficiently, so that it starts you off on the right foot. 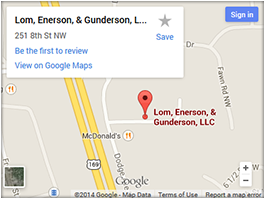 You can trust your business to Lom, Enerson, & Gunderson Tax Services. To find out more about our Accounting Services, call and set up an appointment today at (763) 712-0300!